Stories have incredible natural power and they help us to have impact and be heard over the bombardment of information people receive every day. So, what is it that holds people back from using more examples in business? One of the reasons is our reluctance to name individuals. Instead of talking about Mary, an accounts clerk in our Florida office, we might say “one of our accounts clerks” or “one of the staff from our Florida office” or even “one of our many talented staff”. As we become more general in our description of the character, and move further away from Mary the individual, the ability of our audience to connect with our example is reduced. Worse still, we remove the character entirely and end up with an assertion or a generalisation rather than a story. Characters are an essential ingredient of a story. 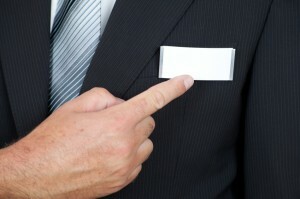 So, here are three tips regarding the use of names in business storytelling. Stories, even success stories, need characters. There are many fabulous examples out there and, at Anecdote, we will normally use a person’s real name. Cameron Clyne, the CEO of National Australia Bank, for example, has done many things that have been very positive for the bank. We often cite him and the things he has done to illustrate good examples of leadership behaviour (we call this story-triggering). Even with positive stories, some people still think the use of names is inappropriate. I was running a workshop last year and one of the participants said that it was inappropriate to use names at all. “I can only assume you might say something about me or my organisation to someone else?” he stated. This view is one of the reasons that stories have been largely exorcised from corporate communications. I believe this is a minority view, albeit an influential one. If you want to be safe, don’t use stories. But, if you want to have impact, be remembered and be understood, you need to use them. And, like it or not, characters are essential. Examples often contain valuable lessons but there may be sensitivities about the content. In his 2003 book, Atul Gawande writes about how surgeons learn their trade. Sometimes things go wrong. The following passage illustrates how you can still use the example. At 2am on a crisp Friday in winter a few years ago, I was in sterile gloves and gown, pulling a teenage knifing victim’s abdomen open, when my pager sounded. “Code Trauma, three minutes,” …This meant…that as the surgical resident on duty for emergencies, I would need to be present for the patent’s arrival… Two other surgeons were working on the knifing victim: Michael Ball, the attending… and David Hernandez, the chief resident. Ordinarily, these two would have come to supervise and help with the trauma, but they were stuck here. Ball, a dry, cerebral 42-year-old, looked over at me as I headed for the door. “If you run into any trouble, you call, and one of us will peel away,” he said. I did run into trouble. In telling this story, I have had to change some details about what happened (including the names of those involved). Nonetheless, I have tried to stay as close to the actual events as I could while protecting the patient, myself, and the rest of the staff. Gawande goes on to tell a riveting account of the life and death experience that followed. Even though he has explicitly told us the names have been changed, within a few lines we are completely engaged with Michael, David and the other characters. So changing names, and being explicit that you have done so, can have little deleterious effect on your story. We can learn a lot from mistakes, near misses and the lessons that have been learned by others. So, there are many circumstances when a negative example can be useful and influential. My general rule is “don’t use real names (personal or organisational) when relating negative examples”. It’s worth noting that you may be guilty of defamation (libel in the US) if you make false statements that are damaging to another living person’s reputation. That false statement can be unintentional and still be ruled defamatory in court, which is why the law requires you to take every reasonable step to check for accuracy. If the example is public knowledge, you can use real names. But, if it’s not, the best bet is to change the names and even the details of the characters. Again, be explicit that you have done so. Without characters, stories are, well, not stories. It’s much safer to avoid using names. But if you do, you won’t be telling a story and your messages will be lost in the deluge of other messages people are receiving every day.